Sam Winchester (to Castiel): So maybe, instead of looking through his bad memories, maybe let’s, uh… maybe let’s look through his good memories. Strippers, Sammy, strippers. We’re on an actual case involving strippers. Finally. I’ll stay here, hook up with the posse. 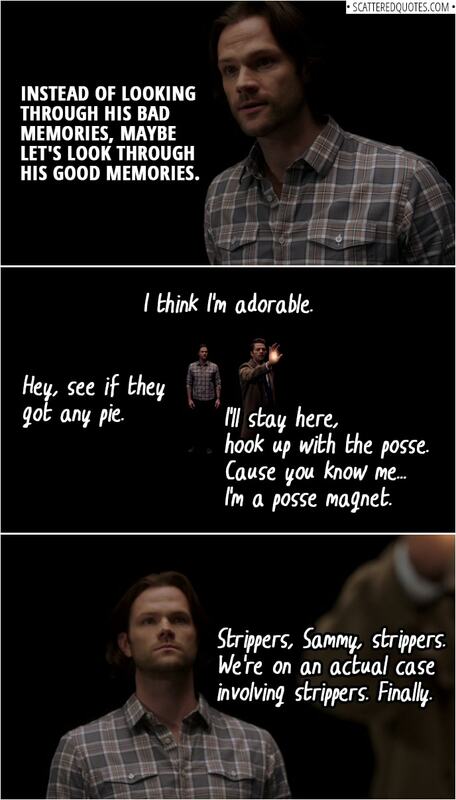 ‘Cause you know me… I’m a posse magnet. 25.1.2019 Let’s look through his good memories.